Thank you! We appreciate the time you put in this and reporting to us. See you in Belize soooooon. Thank you Adam for being so faithful and answering our questions and interpreting the dinar news! how much do you want for them and what denominations. Also are the uncirculated and where did you get them? Thank you for you updates. 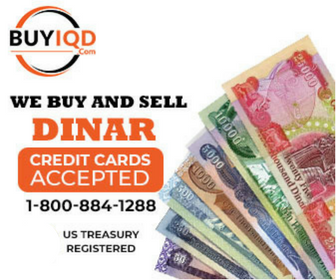 What are some of the best online sites to purchase Dinar & VNN? Haven't said Thank you for awhile. We appreciate this spot that we can get the truth about what is going on and no hype. Thank you for sharing your insight with us. tried to send a message in your inbox but could not do it. can you inbox me? Just wondered.....is this a perpetual party? Sounds like rush week at college We need some dancing smilies. I would say: stay out of the rumors section. This is all a bunch of hype. Stick with the reports from Iraqi and letters and chat from Adam. Those rumors can keep you on the rollercoaster. What Harmony! Love these guys. Each group has been special but always enjoy Mark, Michael and David. Gordon on the piano makes this even more special! Does Your Daily Routine Line Up With The Rich?